With its rolling hills, lush vegetation and sunlit canopies, the Ox Ranch looks like a scene straight out of an African savanna. The 18,000-acre preserve is home to 60 species of the world's most majestic animals, from giraffes and Cape buffalo to wildebeests and gazelles. Some of the species are threatened and some are endangered. But this sprawling ranch, larger than the island of Manhattan, isn't in Africa. It's in Texas, and some of the animals are allowed to be hunted. "A lot of people just enjoy coming out and seeing the animals," Jason Molitor, CEO of the Ox Ranch in Uvalde, Texas, told "Nightline." "If you want to hunt, each animal, which is available to be hunted, has a price associated with it." Jason Molitor, CEO of the Ox Ranch in Uvalde, Texas. Ranchers like Molitor and some hunting advocates say that hunting is actually a form of conservation. They argue that by killing a selected, few animals, they are helping to save the species as a whole. 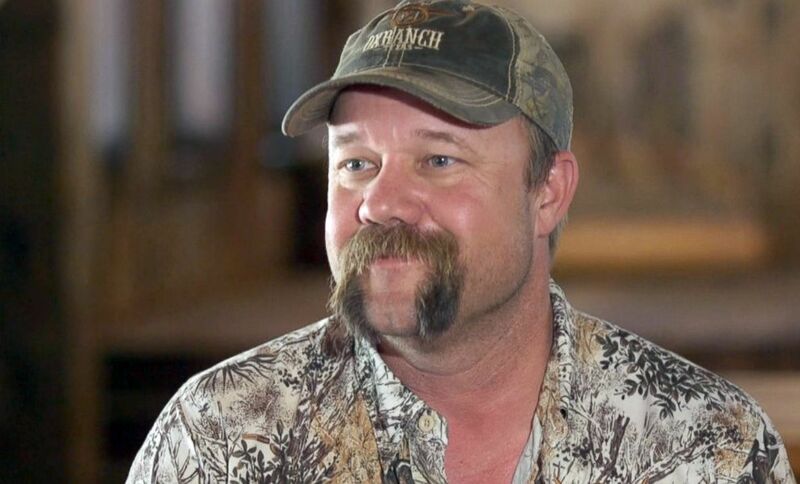 "I know a lot of people are critical because we do hunt and harvest the excess males, but in my opinion, we are doing something good for the animals. We feed them. We take care of them," Molitor said. At the Ox Ranch, Molitor said, price is determined by supply and demand so it can be extravagant. For instance, an emu, which is one of the least expensive animals, costs $1,000. 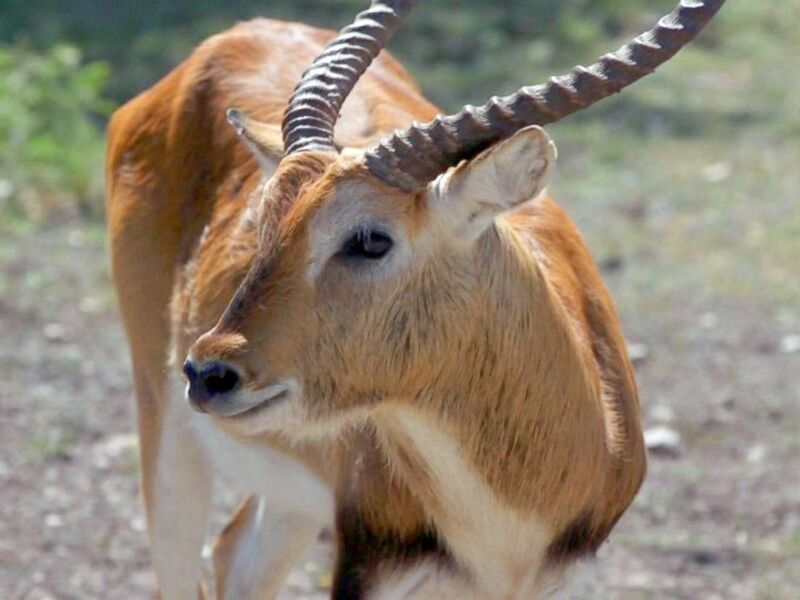 A Grant's gazelle can set you back $10,000 while a roan costs double the amount. A bongo, Molitor said, comes with the heftiest price tag of $35,000. Molitor and the ranch's hunting guides monitor the herds and determine which animals are ready to be taken. Those animals are mostly the older males that are posing a threat to breeding or no longer reproducing. 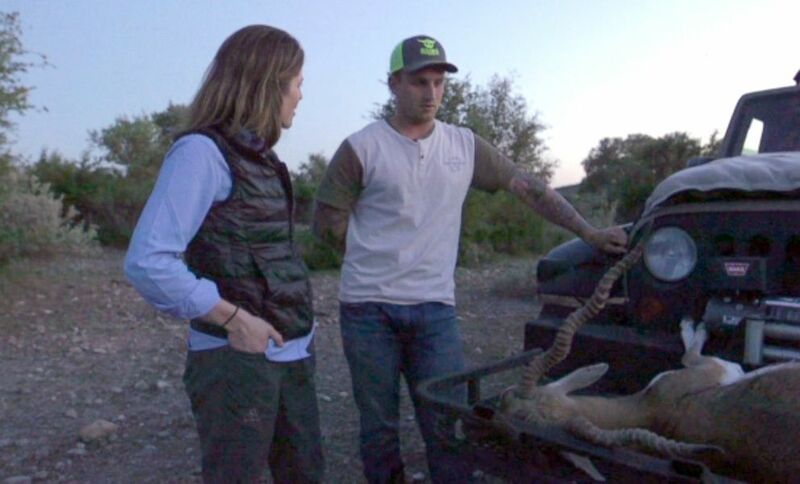 Hunters are only permitted to go out with a ranch guide who knows which animals can be culled. "As long as it's a mature animal, then the guide will give him the green light to go ahead and shoot, or he'll say, 'No, that's a young one,'" Molitor said. 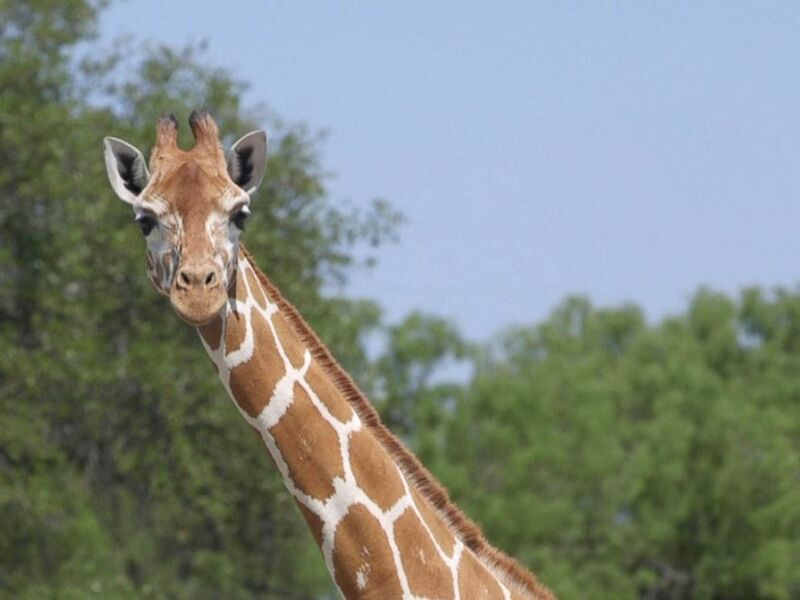 Some animals, like giraffes, are not allowed to be hunted at the 18,000-acre Ox Ranch. The money paid by the hunter goes to care for the rest of the herd, covering costs from feeding to breeding. For any endangered species that are hunted, the ranch must donate 10 percent to a conservation group. "There's many thoughts that conservation is funded through general tax dollars and that's really not the case at all, and so it really begs the question of, how did the biologists that go out and work with private landowners ... how do they really fund it? How do they do their jobs? And the answer to that is hunters' dollars," said Corey Mason, executive director of the Dallas Safari Club. Hunting is a part of Texas' exotic industry, which rakes in $2 billion annually, according to the Exotic Wildlife Association. Texas has about 5,000 ranches with exotics but only about a fifth of them offer commercial hunting. Exotics first came to Texas largely from Africa and Asia in the 1950s. Decades later, some have become a naturalized part of the state's landscape. Ranchers say they are even thriving more in the Lone Star State than in their native land. "For people who say, 'Oh, you're bringing endangered animals from Africa just so some fat-cat hunter can shoot them and have it on his wall,' nothing's further from the truth. It doesn't come from Africa and we would never hunt an animal to extinction," Molitor said. Hunter Pelham, 22, first tried to hunt a blackbuck six years ago. Hunter Pelham first tried to hunt a blackbuck six years ago. The 22-year-old from the Houston area went to the Ox Ranch to celebrate his birthday recently, hoping to finally get a blackbuck, an exotic antelope that, at the ranch, comes with a $3,000 price tag. Pelham, a professional BMX racer, said he did not mind paying that amount to hunt the animal. He said hunting is about the thrill of the chase. "The reason why I get it is I know that this is an alive animal and I need to make a clean kill on this animal so it does not suffer," he said. Pelham also said that an important part of hunting is knowing where his food comes from. He eats everything he hunts. "I'm not a trophy hunter. I like to hunt for meat and I want to shoot something that I'm going to be able to eat," he said. Does hunting elephants help conserve the species? "Nightline" accompanied Pelham as he set out to hunt the elusive blackbuck, starting the day well before daybreak to take advantage of prime hunting time. Using a sophisticated bow and armed with just one arrow, Pelham and his guide Tommy Sowell set out to find a suitable blackbuck. They laid out some feed and set up a small blind, a tiny tent that only fits three people. They watched and waited, keeping as still and silent as possible. "Game plan is for a mature blackbuck to walk in, possibly harvest him if we can [and] get a good shot on him," Pelham said. At one point, Pelham thought they'd spotted an aging blackbuck, but it was not close enough to take a shot. After a few hours, they headed back to the lodge for breakfast. The rising sun and midday heat had sent the animals back to seek shade. Pelham and Sowell would have another chance to try again later in the day. As late afternoon hit, the duo headed out again, this time climbing into a different blind. Just before dusk, as the animals came out again, Pelham saw his shot. He and Sowell strategized, then Pelham readied his bow and aimed. After a years-long wait, he'd finally taken his blackbuck. He and Sowell took the animal and readied it for the meat processor. "Tommy and I have been hunting a blackbuck for about six years now and it finally happened. It's amazing," Pelham said. Pelham said he believes that hunting is one of the better ways to conserve exotics. "I think that how much money is poured into something like this and how much time they spend with these animals and what they do to them, it's a heck of a lot better to a zoo in my mind," he said. "Without a monetary value on these animals, they would cease to exist," Molitor said. "We are expanding the population of these animals. If you have too many males of a particular species, they'll start to fight, kill each other anyway and they'll overgraze the area." Exotics are largely unmonitored, but for ranches offering endangered-species hunts, the federal government requires a special permit. The US Fish and Wildlife Service told "Nightline" that it issues those permits on the condition that "a percentage of income derived from the hunting must then be donated for conservation of the species and/or its habitat." That amounts to 10 percent of the cost to hunt each animal. The Ox Ranch told "Nightline" that in 2017, it donated more than $8,000 for the hunting of 12 individual endangered animals. The ranch also noted that 68 new individuals were added to the ranch's population through births. There are some, however, like Kitty Block, acting CEO and president of the Humane Society of the United States, who do not agree that hunting is beneficial for conservation. "If you want to help conservation, there are so many ways to do that," Block told "Nightline." "You can give to so many different, good organizations. It's never a way to protect animals by bringing them into your ranch and having them shot for funding. That just doesn't do it." Brian Gilroy is the founder of Wildlife Partners in San Antonio. Brian Gilroy, the founder of Wildlife Partners in San Antonio, has a different approach to conservation. He said his breeding operation is a profit-driven business. "I don't derive any revenue at the end of a gun," Gilroy said. "All of the revenue that we generate is generated as the result of selling live animals. And, we're not selling them for the purpose of hunting. We're selling them for the purpose of breeding." Gilroy said his company made $30 million in revenue in the last two years, by breeding as well as buying and selling animals to private owners. "We work with about 300 ranches here in the state and we sell them wildlife for the benefit of enjoyment, and it's theirs, they can do what they want with it," he said. When asked whether his clients ultimately hunted the animals, Gilroy said he offers an incentive to prevent that from happening. He buys back some of the animals' offspring. In this way, he said, the animal is more profitable to its owner if it is alive. "When the animals are born and are a year old approximately, we come back and buy what they've produced. The reason we do that is we have other customers that want to buy those offspring," he said. Hunting is a part of Texas' exotic industry, which rakes in $2 billion annually, according to the Exotic Wildlife Association. When "Nightline" visited the ranch, Gilroy's company was fulfilling a client's request for a blesbok. "We've got some young offspring that we're going to be moving to another ranch so we're going to go over and they're going to catch one of them," he said. Sometimes catching the exotic involves using a helicopter. "In the helicopter, we got a gunner and he's got a tranquilizer gun so the helicopter will fly over the herd. They'll identify one of the yearlings," he said. "They'll shoot a dart with the medication in it and that will allow the animal to go to sleep." Gilroy said he also gives customers the option of buying animals and housing them at the Wildlife Partners' ranch. The company's staff cares for the animals and the owners can visit anytime. Ferret Attacks Infant: Are Exotic Animals Safe Pets? For some of his customers, Gilroy said, owning a rare, exotic species is like owning a luxury car. He said it was the ultimate status symbol. "I mean, why does someone buy a Ferrari? Do they buy a Ferrari because it goes fast?" Gilroy said. "But they also buy a Ferrari because they become the envy of their friends. They like pulling into the gas station and someone says, 'Hey, nice car.' And it's no different when you own a ranch in Texas and you pull in the gate and you've got a herd of zebras and your friends go 'Oooohhh' and 'Ahhhh.'" For Texas landowners, Gilroy said, the tax deduction they get is another huge incentive to have exotics. "When you create an environment where people can claim ownership of wildlife and they can benefit financially from owning them, they go to great lengths to protect them," Gilroy said. 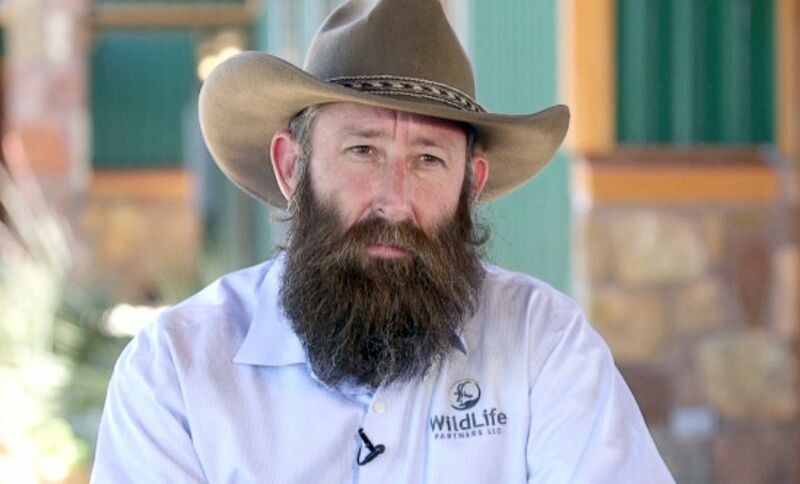 Although Gilroy is not opposed to hunting, he said he doesn't buy the argument that conservation is a direct goal of hunting. He said it was more of a byproduct than the reason to hunt itself. He also disagreed with critics who argue that exotic animals shouldn't be on Texas ranches at all. "Texas is serving as Noah's ark. We are housing these animals from all over the world. We're producing them in large numbers. And, we have the ability to go and repopulate these native areas at any time. Any time that they're ready, we have the foundation stock to be able to do it," he said.